The south face also features a decorative trophy with an eagle and two crossed flags, and honors the Battle of Cold Harbor. The east face bears three crossed rifles, symbolizing the infantry, and honors the Battle of Antietam. 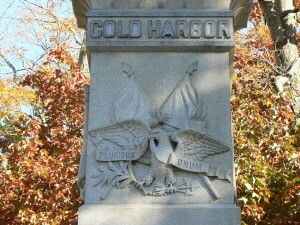 The north face also features the state seal and honors the Battle of Port Hudson, La. 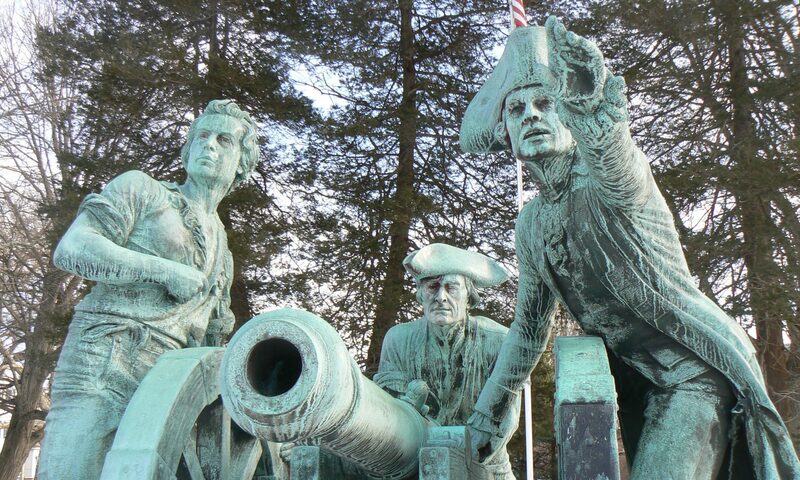 The west face displays crossed cannons, symbolizing the artillery, and honors the Battle of Petersburg, Va. The monument was donated by Winsted native Charles Pine, who served in the Civil War and later became president of the Ansonia National Bank. Pine also donated a memorial chapel in Ansonia’s Pine Grove Cemetery. 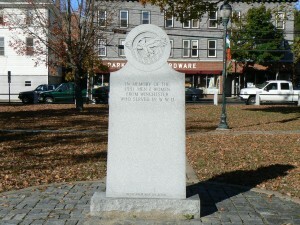 The monument was erected in 1904 and dedicated in May of 1905. 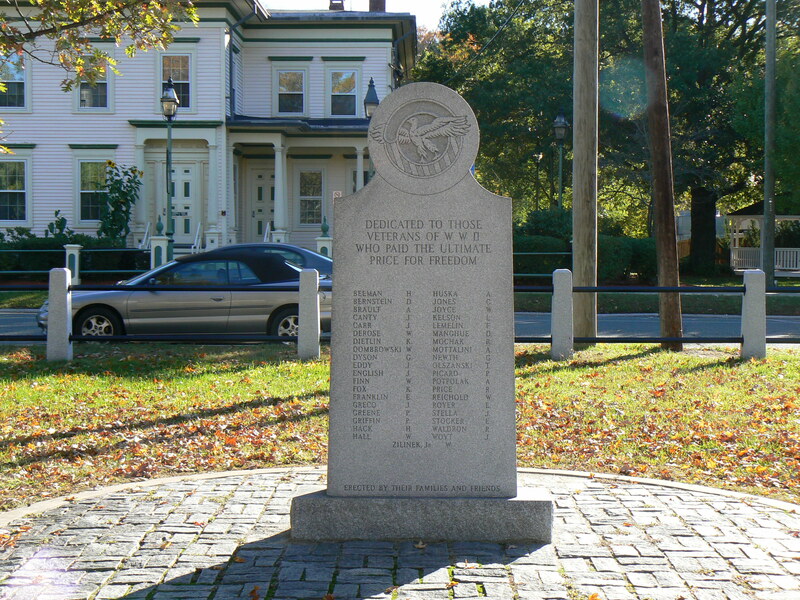 Moving slightly north on the green, a 2000 memorial to the 1,551 Winchester residents who served in World War II lists 39 names of residents killed in the conflict. At the far north end of the green, a granite pillar honors three residents killed in Vietnam. 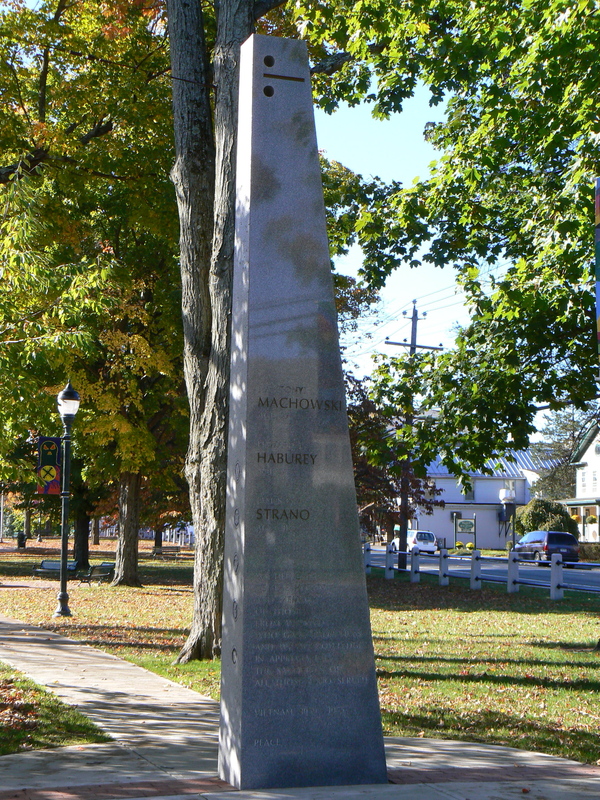 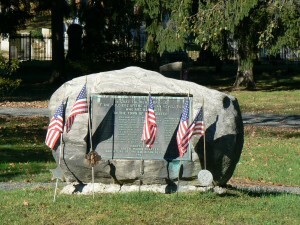 To the west of the green, near the entrance to the Winsted Old Burying Ground cemetery, a 1907 monument honors the 44 American Revolution veterans buried within Winchester’s borders. 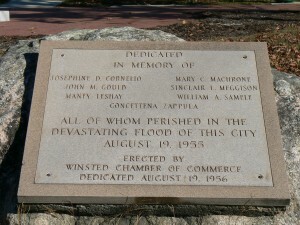 At the far south end of the green, a 1956 monument honors seven residents killed in the Naugatuck River Valley flood in the summer of 1955. 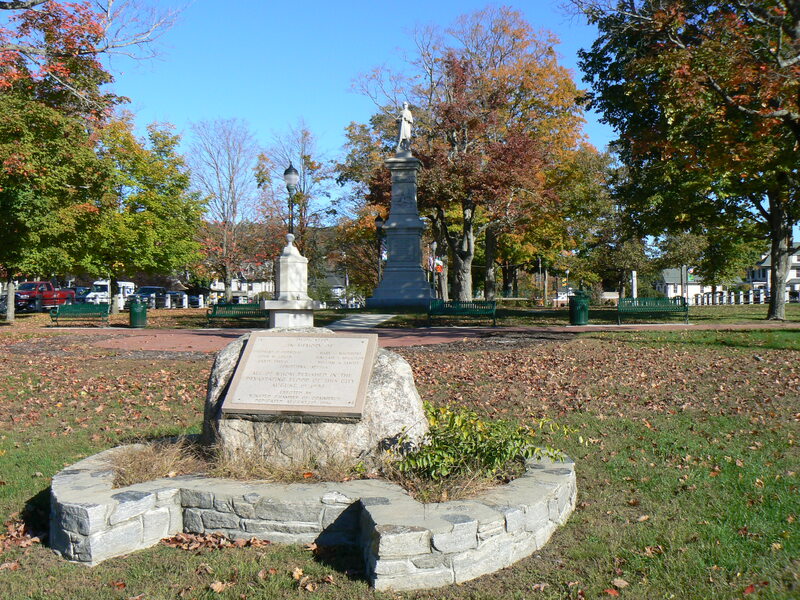 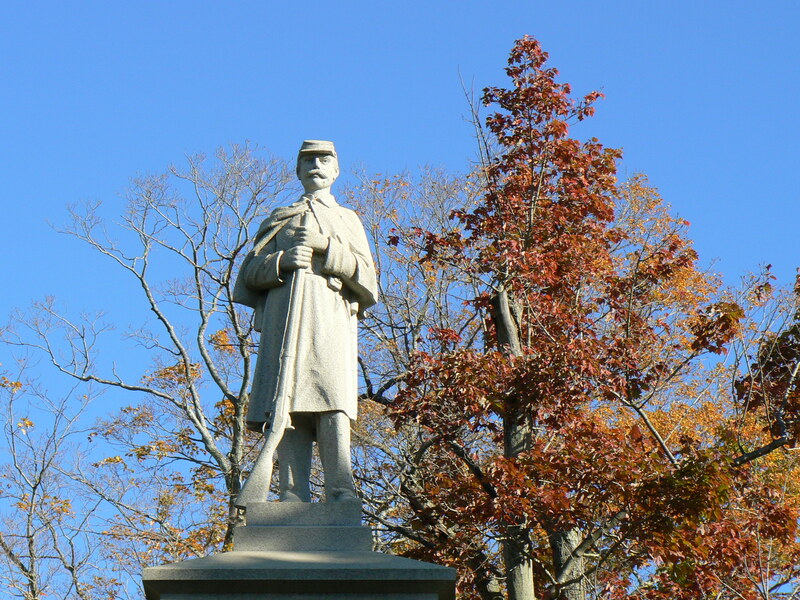 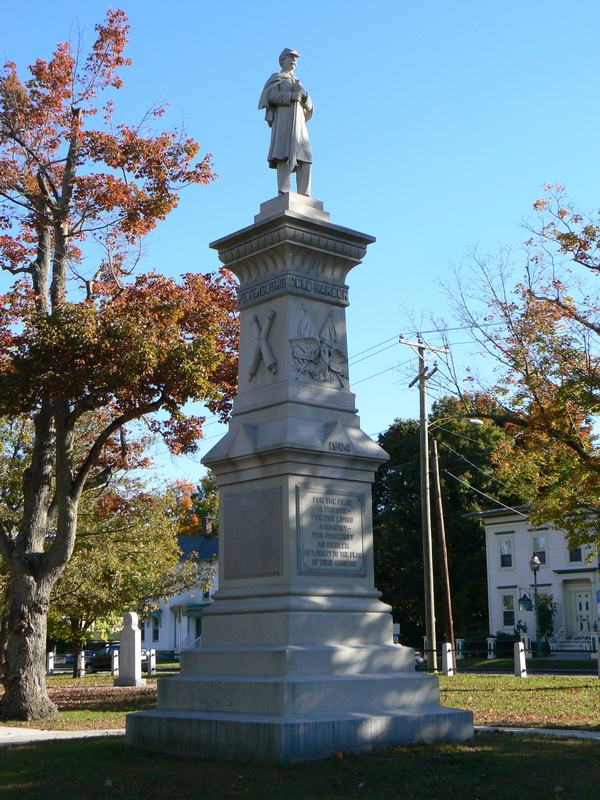 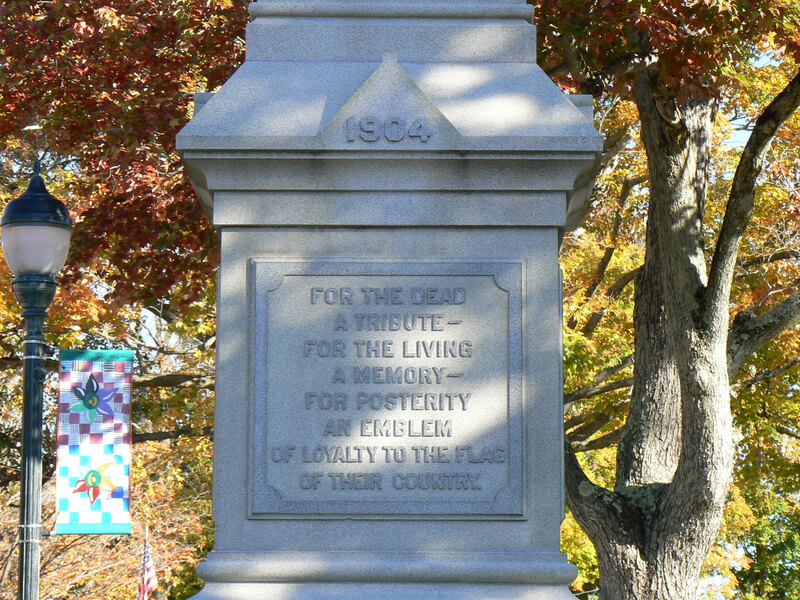 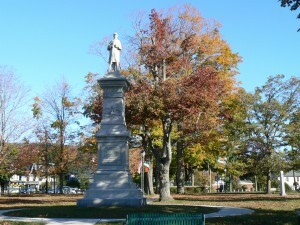 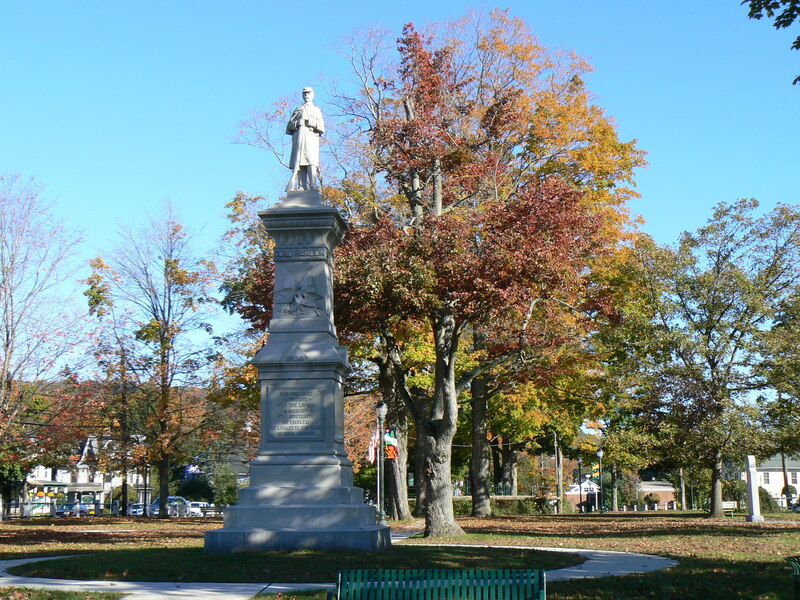 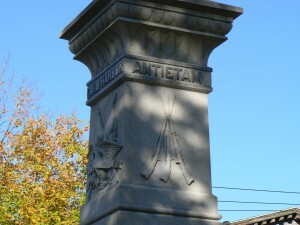 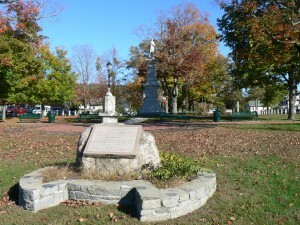 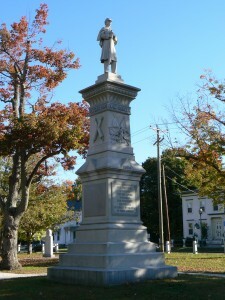 Winchester’s Civil War veterans are also honored with the elaborate Winchester Soldiers’ Monument on Crown Street as well as a memorial in Forest View Cemetery.